Should we read the Ben H Winters book in order? Ben H. Winters is an American author who several dystopian mystery novels as well as a few scary books for kids. Here are the Ben H. Winters books for his dystopian series and the standalone novels. The children’s books are beyond the scope of Mystery Sequels. 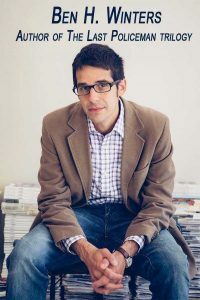 Ben H. Winters grew up in suburban Maryland, attended college in Washington University in St. Louis from where he graduated in 1998, and currently, he lives in Indianapolis with his wife and 3 children. His first novel was a take on a classic, Sense and Sensibility and Sea Monsters, published in 2009 by Querk Books (same publishers who brought to us Pride and Prejudice and Zombies). His most popular work to date is the Last Policeman trilogy, published in 2012, a pre-apocalyptic dystopian crime mystery series about Henri Palace, a policeman who chooses to solve crimes even when the world is about to be wiped out in just a few short months. Written at a time when the dystopian apocalyptic genre was (and still is) at its peak, the whole series soon became a classic with Henri Palace being the cult figure everyone looked up to at the time of despair which brought only the worst out in people. Ben H. Winter’s latest novel is called Underground Airlines, a standalone mystery featured in an alternate reality where the American Civil War never happened. 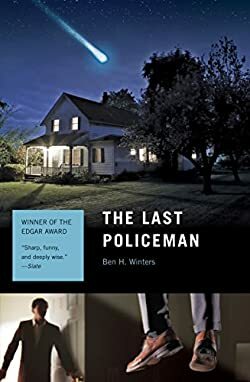 The Last Policeman trilogy is an awesome police procedural series that I think deserves a separate review. Written by author Ben H Winters, this series is a bit difficult to classify. It is indeed a police procedural, noir mystery in fact, but with an apocalyptic setting – namely pre-apocalyptic. I felt that since the setting features quite strongly in these books, I should add it to the post-apocalyptic genre simply because pre-apocalyptic books are rather rare and I hope I am forgiven for adding it to a larger genre encompassing everything “apocalyptic” in terms of mysteries happening around those times. The premise of the trilogy is rather interesting: the world is ending due to an impending asteroid collision in just 6 months from now on. Detective Hank Palace living in New Hampshire has a dilemma on his hands. What’s the point in solving murders if we’re all going to die anyway? Should he walk away from his job simply because the world is ending, or should he try to keep his part of the world as free of crime as possible, for as long as possible? The first book of the Last Policeman trilogy hooked me in right away. While it is not explicitly mentioned until almost half of the book, we have an idea of the world ending quite soon pretty much right from the start. The world is ending and most people have quit their job going onto doing their own things that they wanted to do but couldn’t, they leave their families, going on retreats, sailing, rediscovering themselves, and whatnot. We get a sense of the screwed up world immediately from the first pages, and the more we advance with the story the clearer that becomes. The world is upside down, except the last policeman. Detective Hank Palace is a young policeman (being on the force no longer than 6 months since the news about the end of the world has broken), has been only recently advanced to the detective status (not in the way he had always dreamed of, of course) and he is on a case. Hank might be pretty much the only detective on a case right now. Most policemen quit the force already, and the few that are still at the police station do everything but their job. And of course, when Hank Palace announces to the rest of them that he will solve the murder case, his words are met with all sorts of reactions: from disbelieve to downright laughter or simply a shake of the head. 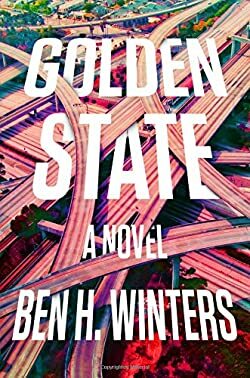 In this first Ben H Winters book in the series, the background noise is of the impending world ending (in just a few months), however, the atmosphere is not yet very serious, and the author focuses more on the actual detective work than the serious catastrophe that awaits all. I really enjoyed reading this novel and I kept thinking throughout if an asteroid were really to wipe the planet Earth from existence, what would I do in the remaining months? 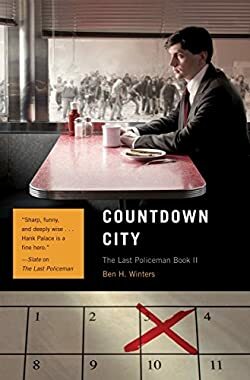 The second novel in the Last Policeman trilogy by the author Ben H. Winters is more austere, it already has a much more serious atmosphere than the first one. The ending is near, there are less than 3 months left. While a few months earlier people started to depart from their normal lives, now the seriousness of the whole thing started to really hit home. Crime is on the rampage, police does nothing to stop it, there are various groups that are plotting and scheming about the government hiding the truth about the fact that a nuke would indeed be able to divert the path of the asteroid to other places in the universe, and general paranoia starts to set in. The police force as we know it no longer exists, the crime task force has been disbanded and Hank no longer has a job. And still, amidst all this, when his old nanny asks him to find his missing husband (which in itself is nothing strange, people disappearing, simply taking off or dying is a very normal thing in this pre-apocalyptic world), he takes on the job, even knowing that his chances of finding the guy are close to nil. To be honest, I was a bit troubled by this second Ben H Winters book. I did love it, don’t get me wrong. However it disturbed something in me, I found myself thinking about all sorts of weird and dark thoughts that I usually don’t have. Also, I found Hank’s reaction to everything a bit weird. He is really the last policeman as he doesn’t seem to be troubled as much by the nonsense of it all as all the other people are. He is on a mission and wants to bring it to a conclusion, no matter what. Maybe it’s his way of coping with the world ending soon. Oh, I definitely agree that yes, we should read it in order. Afterall, for his popular trilogy, it’s just a matter of 3 books, and there is a clear and definitive countdown from now to the world’s end. As for the author’s standalone novels, I have to admit that I haven’t read them yet, but I will soon, especially his latest, Golden State.